A big THANK YOU to Miranda for nominating me for this blogging award! I’m always super excited to hear from my readers especially when I get to learn more about them too. SO, thank you, thank you… I’m super excited! You also of course should link back to the blog who nominated you (I mean, anyone who is going to be nominated for this should already be doing that, right?) lol. Miranda’s Blog, adorably named “For the Love of Cuppie Cakes” has a lot in common with my own! She currently is trying to become healthier by eating better, exercising, drinking more water… etc. It must be really hard, with a blog about cupcakes! She also reviews cosmetics, so be on the lookout for tips and new products to buy. Now, onto the questions and facts. This brings me back to the days of chain letters and emails. Remember those? 11. I have had 7 dogs in my lifetime: Sherlock, Hershey, Watson, Garcia, Roux, Sushi, and Stella. Sushi is my family’s loud but sweet German Shepherd, she’s 8 I think, and Stella is my adorable little Bichon-Poo puppy who will be turning 4 this September. 9. My Mommy owns a chocolate store… fun! As Sweet as Can Be in Wynnewood, PA.
8. I studied Film/Video at Penn State. I’m not currently working in the industry but would love to be able to do that again someday! 7. My favorite Disney movie is Aladdin. 6. I had my appendix taken out when I was in 4th grade. 5. My first concert I remember when I was really little was the Beach Boys. My Mom had to take me home crying because I didn’t like the loud noises and the girls in bikinis dancing around the stage. My most recent concert was Coldplay. I did not cry. 4. I do cry in almost every single episode of Gray’s Anatomy. Some other current favorites: True Blood, Parenthood, Big Brother (my only trash TV, so don’t make fun! ), 30 Rock, Restaurant Impossible, etc etc etc. I used to watch a ton of TV… not so much anymore but I still love it! 3. I could open up a salon with the amount of nail polish I’ve accumulated over the past few years. I used to bite my nails (still do sometimes), so painting them myself was always a way to try to get myself to stop. Now it’s just an obsession and I LOVE fun colors! 2. Dave and I once visited the Bahamas for less than 48 hours. We booked the trip the day before and had to drive to JFK at midnight to make a 5am flight out of New York. It was so much fun. 1. I seriously believe that toast will cure any hurting belly… especially one from a hangover! 1. If you could cook or bake one thing every day for the rest of your life, what would it be? A lot of pressure here! Maybe… Chocolate Chip Cookies? Who doesn’t love those, and they’re so easy! I started back in December last year (2011), so it’s been almost 9 months! WOW! I started blogging because I really, really, really love food! My friend Allie had started her blog maybe 6 months earlier and I loved reading hers. I was already cooking a lot and I thought blogging would inspire me to try some new recipes and also be a great way to keep track of what I was making! I love hearing back from my readers, friends, and family when they read my posts. It’s cool to know that I’m reaching people, even if it’s not that many! 5. Have you ever had any kitchen disasters? If so, tell us about one. The most recent was when my Dad and I were making the Seafood Creamy Pasta this month. I had purchased a slab of bacon from the Farmers Market in Baltimore and had no idea how to cut it- I just figured it would be easy. Well, it wasn’t! I guess my knives aren’t great because it took me forever and I STRUGGLED! Good thing we were planning already on chopping most of it up. The ONE slice I did manage to cut perfectly tasted disgusting. I guess I didn’t cook it right! 6. What is your favorite restaurant and what do you usually order from there? I really don’t have a specific favorite restaurant. I like to try new places all the time. One great meal although it’s not my favorite is at Angelo’s in Atlantic City. Dave and I love it there. We like to order the hot peppers marinara, which is enough to make your mouth on fire the entire night. It’s literally hot peppers chopped up (seeds and all) in marinara sauce. Your entree comes with a fab house Italian Salad and bread. I like to order the Seafood Fra Diavolo over a bed of sauteed spinach instead of pasta. 7. I mentioned earlier that I find cooking/baking to be therapeutic. Do you feel the same? Call me Izzy, but I DO! Although I seem stressed and crazed at the time, it’s helpful and I feel really great after making a good dish. 8. When did you discover your passion for cooking/baking? I’m not sure when, but ever since I was in high school, I loved helping my Mom make dinner for the family. 9. What’s the best thing you’ve ever eaten? I mean, even in the Food Network TV show… they split it up into categories! What a hard question to answer. While I could probably answer this more accurately if I had more time… I’m going to just mention the Strawberry Habenero Guacamole from Verdad in Bryn Mawr, PA. Even the chips are to die for. I wish I could have this stuff everyday. 10. Do you listen to music while you’re working your magic in the kitchen? If so, what do you listen to? I actually don’t listen to music at home, but I probably will when I move out and have my own place. I usually have the Phillies or something else going on the TV in the background. 11. What’s your favorite kitchen gadget/utensil? Of course, my brand spankin’ new Cast Iron Skillet that Dave bought me for my birthday! Everything we’ve cooked in it so far has been AWESOME. 1. What is your favorite ingredient to cook with? 2. What is one food item that you won’t try? 3. What is your favorite type of cuisine? 4. What do you like best about blogging? 5. Link us to your all-time FAVORITE post/recipe you’ve written. 6. Do you have a bad cooking experience? What were you trying to make and what went wrong? 7. Who is your favorite Food Network TV Star? 8. Do you have any tips on how you budget your time better so you can blog? 9. What do you normally eat as a snack, when you aren’t cooking up delicious new recipes? 10. Do you have a personal trick or tip you’d like to share? 11. What is one item or dish you’d like to try to make that you haven’t yet? WHEW! Well, that was fun. Hope you enjoyed, and thanks again for nominating me Miranda! Thanks for the response 🙂 No worries… Thank you for stopping by though, I absolutely love your blog! 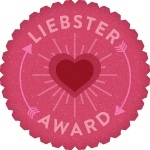 Thanks Beth for the Liebster Award nomination. It just makes me feel proud of my blog! !I would be posting my answers to your questions soon. BTW, I am following your blog by email. YAY! I’m glad 🙂 Thanks for following my posts, that’s so exciting! Def let me know when you post your Liebster!